Smart Meters emit wireless radio frequency/microwave radiation. The FCC radio frequency (RF) safety standards are based on short-term heating, not long term chronic exposures. 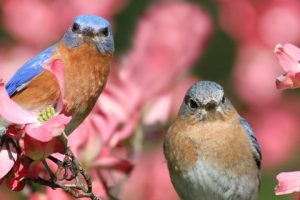 The Bioinitiative Report, which is recognized by the European Parliament, The European Environment agency and the Breast Cancer Fund, scientifically documents evidence of health effects far below the FCC safety standards. The World Health Organization (WHO) and the National Toxicology Program are currently studying RF. The intention of the 13 country, 30 million dollar WHO Interphone Study was to determine whether or not RF was a carcinogen. The updated results of this study found significantly increased risk of a glioma, a deadly brain tumor. Brain cancer is now the leading cancer death in children in the US. 1. 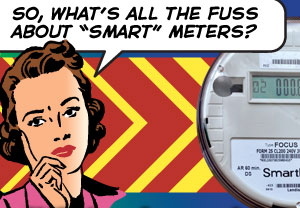 What is PGE doing to inform the public of the involuntary RF exposures Smart Meters emit? 2. What’s PG&E position on the Bioinitiative Report? 3. What’s PGE’s position on Pathophysiology Journal Supplement 16 (November 2009) that peer-review publishes many of the Bioinitiative Report chapters in an updated form, including those on cancer and neurological disease? The entire concept of the Smart Grid rests on the unfettered use of RF throughout our homes and businesses. All appliances will be retrofitted with antennas or consumers will need to purchase new “smart” appliances, plus an interior meter to monitor usage. The federal government has given 3.4 billion dollars in stimulus funds for building out the Smart Grid. PG&E states that the Smart Grid is environmentally sustainable and its goal is to help consumers reduce their carbon foot print. 4. Have any empirical studies confirmed that this plan actually works – not in theory but in actual practice, can it be shown that the technology performs significantly better than other strategies such as consumer education? 5. Who pays for the interior meter and appliance retrofitting? 6. How much additional energy will it take to power all these new RF transmissions? 7. Isn’t it smarter to leave appliances unplugged? 8. Who pays for the new Smart Meter signal transmissions? Consumers may decide not to allow power transmitters inside their homes. Neither the federal government nor the states can force families to do so. 9. What if consumers reject this system? 10. Is it then true that this Smart Grid system will fail in it’s purpose? 11. Why then would the federal government subsidize a ‘failed program’? PG&E states they commissioned an independent evaluation of possible health impacts that confirmed there should be no adverse health impact from the RF Smart Meters emit. The EMF Safety Network requested a copy of this study and we were told it was not published. After months of waiting, PG&E posted this report online one day prior to the Sebastopol City Council meeting. 12. Was this study peer reveiwed? 13. Considering the weight of controversy over the health impacts of RF shouldn’t PG&E have provided the public and with this study when they claimed it assured safety? 14. What is not an adverse health impact? A July 2009 PG&E bulletin states that the electric meter transmits radio signals to the network only once every four hours. In another PG&E bulletin it states that the meters will transmit signals every hour. A professional EMF electrician has measured a Smart Meter and found they emit RF every 45 seconds. Another professional expert has measured one or more a minte, on a random basis. If this is true, in Sebastopol alone this would amount to over 6 million new signals a day, not including signals from the repeater system. These wireless signals penetrate walls and buildings and are re-radiated throughout homes and businesses by electrical wiring, metal plumbing, gas lines, metal fences, etc. 15. What is the frequency and signal strength utilized in both house meter and repeater system? 16. What is the range and signal direction of both house meter and repeater? 17. Are these one or two way signals? 18. Will house meters also be used as repeaters? 19. Will the Smart Meters also use the existing cell antennas/ towers or will new ones be deployed? 20. Can PG&E provide a detailed map of all new antennae repeater locations in Sonoma County ? 21. How many power transmitters would be present in an average home under the plans that the Smart Grid assumes for normal operation? 22. How often will the meters, repeaters and smart appliances emit RF signals and for what duration? 23. What is the signal strength at the device, at six inches, one foot, 3 ,5, 10, 20, 50 feet? 24. If these are short bursts of RF, what is the peak power for each burst? 25. What levels of RF will these new signals add to the environment? 26. Has special consideration been given to people who live in homes with multiple meters attached to their homes – next to where a child might sleep? Electrosensitivity (ES) is a growing global concern. The European Parliament advised countries to recognize ES like Sweden does. 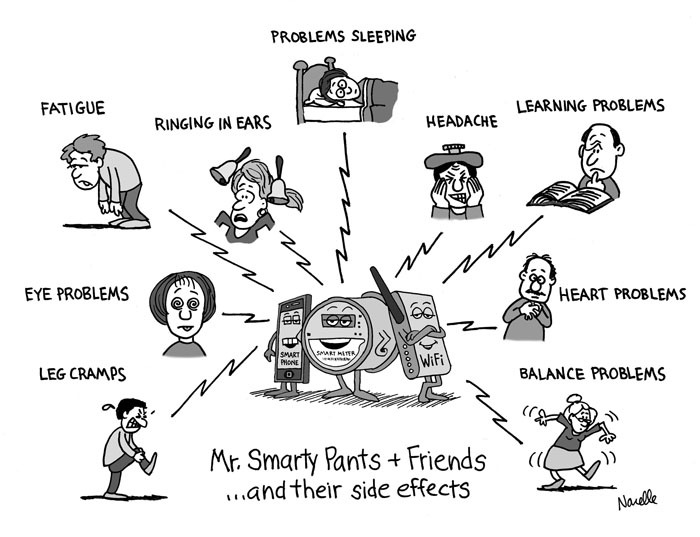 Those with ES reduce their EMF and wireless exposures to maintain their health and well being. A professor with Parkinsons has a deep brain stimulator, that relies on RF to keep him alive. If wireless signals should interfere with this life saving device he has 4 seconds to reset it, or else he will die. He has to avoid ambient wireless to survive. There are millions of people with medical implants who also depend on similar life saving devices. 27. 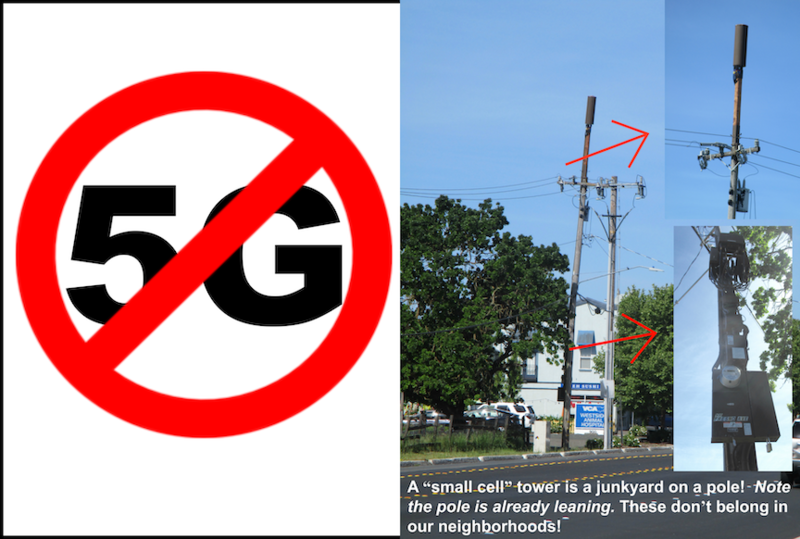 Where will people with ES or medical implants live when the new Smart Grid creates an increase in ubiquitous RF signals right on our homes and neighborhoods? 28. What is PG&E doing to mitigate these effects? 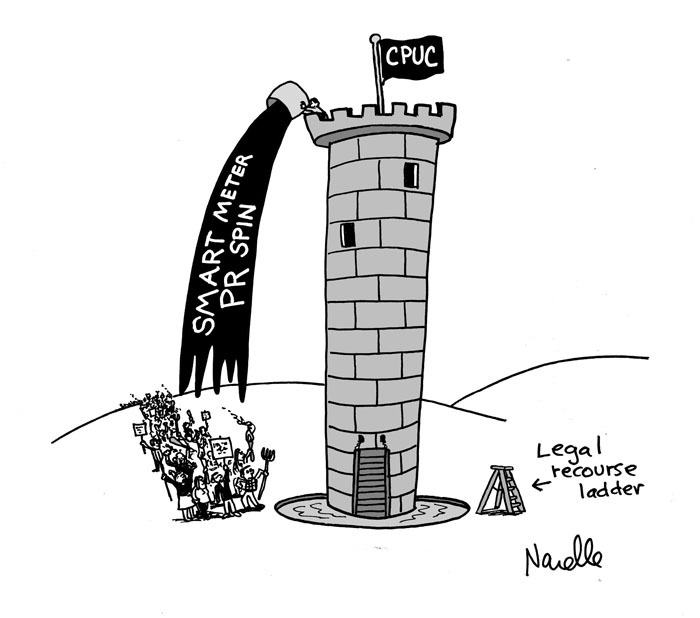 The local newspaper reported that Smart Meters would provide “improved pricing methods” called tiered pricing. 29. What is tiered pricing and how is it different from the current pricing method? 30. Will it cost more to do laundry at 8 am, 2 pm, or 10 pm? 31. Will customers be advised of this new pricing method and if so when? There have been considerable problems with Smart Meters in the Bakersfield/Fresno area including meter malfunctions, billing disputes, and meters catching on fire. In addition, a class action lawsuit has been filed against PG&E and State Senator Florez is calling for a moratorium on the Smart Meters. 32. What is the current status of these complaints and what has PG&E done to resolve these problems? A computer programmer writes, “wireless encryption is so ineffective, any data transferred wirelessly should be considered viewable to the public”. What are the viable alternatives to wireless metering ? 33. What personal information will be transmitted via the new meters? 34. Isn’t the threat to privacy inherent to this wireless technology? 35. How many meter readers will be on State unemployment once these new meters are deployed? There are many accounts of interference complaints with the new wireless meters. 36. How many complaints has PG&E received about Smart Meters causing interference in their homes? 37. Isn’t this also a threat to this wireless technology? 38. Since alternative technologies exist for creation of the Smart Grid, why aren’t consumers being offered those alternatives? I strongly oppose the installation of the Smart Meter on my home. I don’t know how and where to turn for help. Last year I moved to this apartment bldg and never knew that twelve (12) PG&E SMART METERS were instaled on the outside of my Bedroom wall, so what is seperating my Headboard from Smart Meters is a six inches tick wall. I am sick constantly, confused, living in agony and fear and don’t actualy know anybody that can help me. I called the PG&E and they sent some fellow to measure my Apt for radiation he told me that everything was alright. Please help me if you can. The average citizen certainly needs more proof, in layman terminology, that these SMART METERS pose a really serious health hazard. And it needs to be shown clearly the test results of the adverse effects EMF and RF emmisions from SMART METERS. If the Co. technicians/ installers are claiming there are no health hazards, then this means they are lying…and this has to be contested on behalf all those people who have a SMART METER. I have one outside my house next to the Breaker Panel and it was already installed when we bought the house in 2003. So far, we have encountered no out of the ordinary health issues. There is also the question of; to what extent can our electrical supply be externally controlled/rationed without our permission? How do I go about getting PG&E to remove my smartmeter for medical reasons. I am fairly certain my doctor would write me a note. If anyone knows the process, please share it. Stan, if you are for real, there is plenty of information available. Maybe you could help to write it up in the type of format you think is needed. We were forced to take the smart meter or have the power cut off. No choice. We’re told by the utility companies they are safe and will save power. When is the last time you really trusted “anything” the government or a utility co. mandated you to do? If these things are so safe and non intrusive, why are we being” forced” to take them so suddenly with no opt out options? Since the new meter was forced on us I’ve had a constant ear ache. These meters are RFID compatible and in the too near future will be able to transmit all your private info to a government data bank under construction right now. Once we are forced to accept the RFID chips that will be the mark of the beast. If we deny it ,we will deprived of everything to sustain life. Agenda 21.
in about a year of having a smart meter i have noticed a ringing in my ears so loud that i can hear it over the sound of my loud harley motorcycle engine..there seems to be nothing wrong with me but it is driving me out of my mind!! my girlfriend has so many health issues that have come up in the year she has lived here that it is obvious that the smart meter is the problem. her migraines are so horrible she has to take imitrix all the time and wakes up with headaches in the middle of the night..not to mention all the other symptoms! if you doubt the dangers of E.M. F. just read the book “Dirty Electricity by Dr. Samual Milham..i have talked to him and this is real! what is the actual E.M.F. level emited from these? where do i find the actual statistics? @admin – Do you *really* believe that I violated any of the forum rules? Richard, yes, making fun of others is not allowed. And yes, the comments policy was just added to the welcome page, thanks for the editing correction. ‘Richard’ is a troll representing Silver Springs. I saw him at stopsmartmeters.org. Thank you for your website. 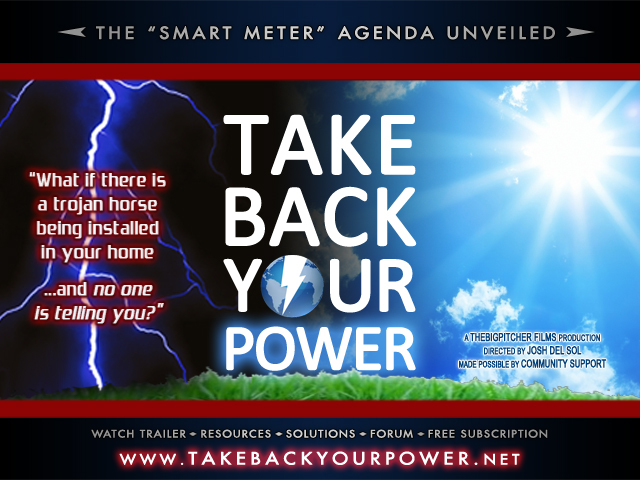 I had THREE smartmeters installed on Feb 14, 2012 and I am miserable. It is past the time to dialogue with Utility people and now it’s time to sue..
For all those who are concerned out about the smart meter EMF I have a great solution: Go off the grid!!! The easiest/best way to do so (imho) is SOLAR… Then you won’t have that RFID chip reporting all your special information (like the government doesn’t know your identifying information and unless you don’t use credit cards, cell phones, etc, they can find out your “habits” too)! It’s sad to see all the people here claiming RF exposure health problems. 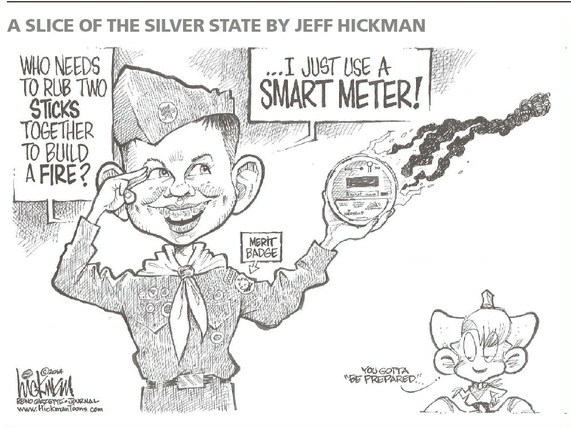 As a FCC licensed engineer with over 50 years’ experience in broadcast engineering and transmitter repair let me explain to you, in layman terms the hazards of PG&E’s new smart meters. Second, the internet abounds with speculation and misinformation. Please, PLEASE, be careful. I do not work for PG&E and never have. I’m retired from the US Army, and then worked in the broadcast industry in excess of 30 years. 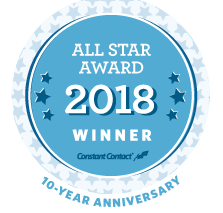 I have spent a lifetime working and repairing very high powered military transmitters and civilian transmitters as well. I’m quite confident PG&E is not trying to kill its customers. It wouldn’t be profitable. Third you are exposed to much, much higher levels of non-ionizing radiation by electrical divides in your home. For example, Cell phones, WIFI networks, wireless telephones, CRT Televisions, microwave ovens, wireless intercoms, Bluetooth devices and many other devices commonly found in today’s modern homes and neighborhoods. Many of these devices expose you to 17 to 100 times more radiation than PG&E smart meters. If you live in a densely populated area you are exposed to many your neighbors RF devices. Some devices I have found that were installed by people knowing full well they were illegal. Five years ago I had an AICD installed to aid in defibrillation and heart palpitations. No this was not environmental exposure it was hereditary plaque buildup in an artery. I have all of these electronic things in my home and even more, with no effects on my AICD defibrillator/pacemaker or health. Fourth, Dr. Samuel Milham, as well as many other well intending and well educated individuals are primarily espousing his views without any education in the field of broadcast radiation. Please note the is basically saying that we are living shorter lives due to exposure to all forms of electromagnetic fields, RF or otherwise. He further states that ” his discovery that most of the twentieth century diseases of civilization, including cancer, cardiovascular disease, diabetes, and suicide, are caused by electromagnetic field exposure.”. A view not shared by other MD’S or the AMA. His belief that we are living shorter lives because of this are unsubstantiated and in error as the average life expectancy of US citizens continues to lengthen. Please, the Internet is full of “experts” espousing various views on various subjects. If you go looking for something or someone to verify you fears, you will probably find them. I honestly believe most of these individuals are sincerely trying to report or relay information that they feel is important but most of the time with flawed science, and many times with an eye towards selling information, books or services. In closing I would like to tell you of a 75 year old lady that came to my home and was astounded by the amount of electronic exposure, including PG&E smart meters, cell phones (4), cordless phones (2), WIFI DEVICES (6), computers and pads (8) and various other electronics in my home. By the way my AICD reports by a built in transmitter to my cardiologist over my phone lines. She stated she had the same AICD and had removed everything electronic from her home including her toaster and hair dryer and still her defibrillator had “gone off” on several occasions in the last month. I told her that mine had never gone off and she should report all incidences of heart irregularities to her MD. After visiting her cardiologist they adjust her medication and she is doing much better. Still don’t know why her MD or cardiologist hadn’t caught this already. We are exposed to a myriad of things in this modern age, environmentally, physiological and emotionally, from insane stress to electromagnet fields and lord only knows what unnecessary chemicals and antibiotics in our food supply. Yet our life expectancy continues to lengthen and as a nation we are, outside of obesity, generally a healthy people. Where can I buy a standard house meter and have this installed? Anybody? A few months ago they installed a smart meter outside my bedroom wall. Are you saying these cause no ill effects? Does anyone know if placing corrugated metal panels around the smart meters will help mitigate their effects? 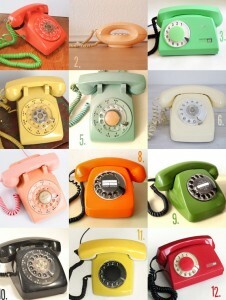 We’ve had our switched back to analog but we still have to deal with our neighbors smart meters which are in our yard! Thanks! Try Aluminum sheeting or just the foil. Works very well. I moved in to a new rental property 2-1-13 and I noticed that every morning at 3:30am on the dot. I am awakened. All sleep is taken away. I don’t even feel sleepy. I also noticed a tingling sensation in my teeth. I honestly though I was going crazy. I had no idea why I felt this way. I also have noticed memory loss / concentration problems, all of which I have never ever suffered from in my life. It wasn’t until I walked out of my 2 story rental door and look over and saw the PG&E smart meter on the wall directly below my bedroom. My wife has been experiencing memory problems as of last week now also. I don’t know what to do. I got rid of my smart meter as it was making me very sick, but my neighbor has theirs installed very close to my home. I thing it is about thirteen to fifteen feet away from my house. I have given them information on these meters and they don’t seem to do anything. I believe the smart meter killed my parrot that I had for thirty seven years. He was my friend after my husband passed. I have given some neighbors flyers on this information. I don’t think anyone else is doing anything about it. Tell me what can I do? I live in Maryland and Delmarva Power put in a Smart Meter without my permission. I had written two opt out letters. Well they came back and replaced it with another digital meter by GE called a smart grid meter. I think they are trying to trick me into thinking they have given me a meter that is not a Smart Meter. It doesn’t say Smart Meter on the meter itself but you can look up the meter online. Anyone with information concerning this please reply. Does the meter have an FCC ID# on it? If there is a family member that has the RFID implant under their skin, would the smart meter read that person’s RFID chip and report the information back to the company the identity of the person that is in the house? “I lived through the Nazis,” you said. “I lived through the Cossacks,” but [‘ve never lived through anything as bad as this, the smart meter taking my golden years [with its lethal radiation]. I can’t even sleep in my own bed. I sit in a chair, sleepless in a far off corner. In the holocaust at least I had my health. She showed her bag of tissues filled with blood. But the time is up on them. A nosebleed is not a holocaust. The holocaust is in the poison that ravages the body, silent and unseen to the outside world. It sets up death camps in the cells, and tortures the organs. The ticking drip-drip of microwave dissembling, as the meter clocks each moment of your life. The life of Rosa Peric. Who will be next to be in exile? Sleeping in a car or under a bridge? Driven out again and again by each new meter. Each new grid-lock locked about our bodies and our lives? No place like home to fry in our chairs. Like death-row inmates. And as we know, death has never been the problem. The problem is constant torture. Moment by moment and year by year. The only relief in the darkest and deepest forests. Now scheduled for Global WiFi. Microwaved world. Who will be left to rule it with such weapons and forgone souls? To Rosa Peric: The world has seen how they tried to shut you up. Golden Lady reaching your golden years. But it only made your voice seem louder. Stand up. Stand up. Stand up. From Jennifer : After doing nearly 80 interviews, a press-related team finally interviewed me without censoring what I said about the scientific facts or my own experience. Special thanks to Dafna Tachover’s tireless & courageous legal work, Einat Bracha, director, the film crew, and many others in and behind the film. This Israeli report (an accumulation of much other quiet work by all of us) preceded the shut-down of WiFi in all schools in the city of Haifa!!!!!!!!! And the Mayor Yona Yahav’s order to install safe, fast, hard-wired internet! Not only was the show the most highly rated show in Israel that night, it was the most highly rated interview for me personally. I said what I usually say only this time it wasn’t censored. I was proud to be a witness with regards to the effects of man-made EMR on human health, and thrilled to hear that Dafna’s father called my interview a highlight. Finally the whole truth was allowed to be told. (Thank you Einat and whole crew.) I hope that I spoke for those too ill to speak, and those forced into exile, living in solo- hand-made cabins, like mine, without electricity or water, or in caves, cars, tents, vaults etc. due to Microwave Illness (the original military term for EHS.) (Microwave) Global WiFi is being built as I write and will have serious consequences for human health. It started with the half-hour TV documentary about the epidemic of Electro-Sensitivity that was aired last Tuesday at 9pm on prime time TV and which got the highest rating of the day.The name chosen for the documentary: “HOW WE ARE KILLING OURSELVES – WIRELESS RADIATION” leaves no doubt about the message of the movie. Press here for the movie (it is in Hebrew but some interviews are in English; a version with English subtitles is also in the works.) The TV channel ran constant, very effective and alarming promo for the movie that created a lot of buzz, and in my opinion, was even better than the movie itself: You can see the promo on my Facebook page. The director planned to do 10 minutes on ES as part of a film about the diseases of the 21st century, but eventually, after working with us intensely on it, they understood the extent of the problem and the lie and how important it is to give an uncompromising warning to the public, so decided to do a half-hour documentary mainly on ES and the Wi-Fi in schools. The host was a leading TV media person and his tone was uncompromising – no maybes, precautionary advice etc., the tone was: there is an epidemic out there. Wireless systems harm us and it is time for us to wake up as it is late already. He started by saying that at least 800,000 people in Israel, i.e. 10% of the population already suffer from different levels of ES and twice aired parts of my interview in which I was saying that the rates are already higher and will continue to increase. The two government “experts” who had lied to the Israeli Supreme Court during our case admitted on the show that the thermal safety standard is irrelevant (opposite to what they told the Supreme Court). I intend to take action now that we have them on camera admitting the opposite of what they told the Supreme Court and leaving no doubt that they committed perjury. Most importantly, the movie created a lot of buzz, ‘undoubted’ ES, and sent a very alarming message. It is another strong warning that radiation harm is not potential but existing, and now on the scale of an epidemic. There was no “other side”. It is ridiculous to me how anyone who does a program/article on this topic insists on bringing the “other side.” Why? Journalism is about exposing the truth: If the truth is clear, as it is in the wireless issue, once a journalist understands what the truth is he does not and should not let the “other side” continue propagating its lie! This is truly a Breakthrough – The City of Haifa in Israel announced that it is removing Wi-Fi from schools. This was announced by the mayor, Yona Yahav, who said: “When there is a doubt, when it comes to our children, there is no doubt”. He ordered all WiFi in schools to be disconnected immediately and to be replaced with safer, hard-wired internet! I guess the definite tone of the TV documentary that aired this week and the buzz it created helped the city to make the final decision. I believe that now that one city decided to stop WI-Fi, the trend will continue and will reverse the pro Wi-Fi trend. Hope other cities will join. Haifa is the 3rd largest city in Israel. Hello. I have an 8 month old son and we have to live in an apartment for a short while before buying our home. Up until now we had a smart meter free/wifi/cellphone free home and now we are going to be in a corner unit townhome, with EMF shielding fabric along the entire shared wall of the unit. On the other end of the building (there are 2 units to our side), there are all the meters. I tried like hell to get the analogue meter installed, but the electric company WOULD NOT do it. Even though the meters are on the other end of the building, does the radiation infiltrate our unit via our outlets etc? We are moving cross country and our move in date is in 10 days. I understand most of the radiation comes from the smart meter itself, but I cannot find any info on the radiation that enters the house itself via outlets, etc. Would we be okay in the unit? Or no? I’m looking into purchasing a EMF meter, which is better for scanning the output of smart meters directional or triple-axis? Thanks for the help! HI, I live in a condo and just found out I have 26 smart meters against the wall. I had someone do some measurements and they found I had a huge magnetic field also occurring. All off the charts. I started having memory issues in the past 2 years and was wondering if this was attributed to it. I am relatively young for this. In addition, my condo board does not care about it at all. I live in FL. Do I have any rights?? ?